Great news! On July 13, the California Coastal Commission will consider an agreement that would close the Cemex Lapis Sand Mine in Marina, a small city on the Monterey coast. The mine has been linked to severe coastal erosion in southern Monterey Bay, which is losing more coastline than anywhere else in the state. Cemex mines about 300,000 tons of sand a year from a self-made pond right on the beach in Marina. This is essentially like carrying away one 14-yard dump truck full of sand from the beach every 40 minutes, around the clock. And this has been going on at the plant for decades – although at lower quantities when operations began – without a requisite Coastal Development Permit. Under the agreement, Cemex would be allowed to continue mining for three years, at a reduced level of 240,000 tons a year. After three years, mining will cease completely, but Cemex will have three more years to sell off their stockpile of sand and restore the site. The restoration will include removing mining equipment and buildings, and revegetating the site. Independent monitoring will be implemented to ensure that Cemex does not take more sand than allowed in the agreement. The mine must be sold to an approved nonprofit or government agency for the purposes of conservation and public access, and be transferred over in six years. 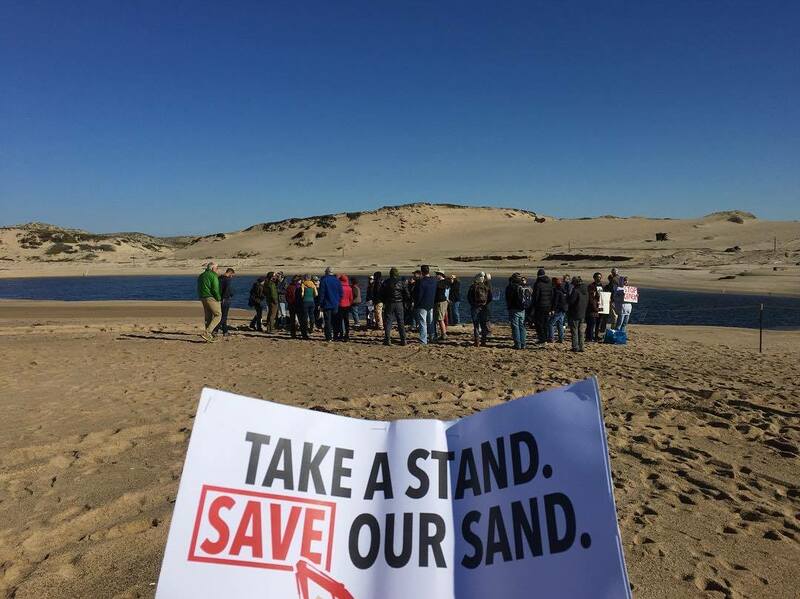 The agreement is the latest win in the Monterey Chapter’s three-year campaign, in partnership with Save Our Shores, to close the mine. In March, the State Lands Commission wrote a letter to Cemex stating that their mine needed to re-apply for a permit to continue operations. The City of Marina adopted a resolution calling the mine a public nuisance, and directing their attorneys to investigate a lawsuit against the company. The cities of Monterey, Sand City, and Marina also all wrote public letters voicing their concern over their shrinking coastline. The chapter is calling on supporters to turn out to the Coastal Commission meeting on the afternoon of July 13 on the campus of Cal State Monterey Bay. You can also write to the commission expressing your support for the agreement. Showing the commissioners that there is broad support for the work that enforcement staff has done to close the mine will be critical to ensuring that the agreement passes. For more information, or to join the campaign, visit the chapter’s website.